The NMA strongly supports the simple but significant concept of slower traffic using the right lane and vehicles in the left lane yielding to faster traffic. Practice lane courtesy whenever you drive. Tell your friends and family to do the same and explain to them why it’s important. Write a “letter to the editor” to your local newspaper. The whole point of Lane Courtesy Month is to raise public awareness about this issue, and your letter will help. Click here to view a sample letter. Contact your state legislators and urge them to support stronger lane courtesy laws. Click here to see if your state has a lane courtesy law. Write the commander of your state police or highway patrol and explain to him why enforcing this law is so important. Members of the Media, please check out our 2018 News Release HERE! June has been designated Lane Courtesy Month by the National Motorists Association and the NMA Foundation. Lane Courtesy or lane discipline as it is sometimes called is quite simply staying in the right lane on the highway except to pass slower moving vehicles. When motorists use lane courtesy every time they drive they will find they are generally safer because they drive with the traffic instead of continuously weaving in and out of traffic. Motorists will save gas and arrive quicker at their destination because they are going with the traffic flow which allows for a smoother ride. Most importantly, when motorists use lane courtesy there will be less road rage and less overall stress while driving. The National Motorists Association urges motorists to serve as a role model by keeping right to yield to faster traffic, practicing Lane Courtesy all year long. 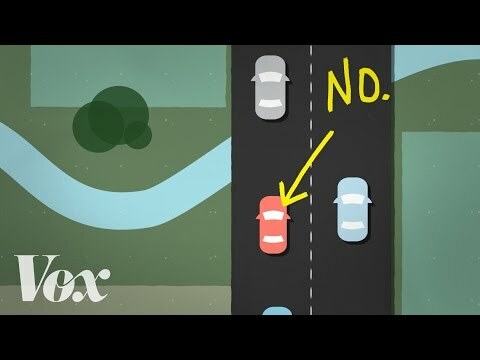 This article explains the concept of lane courtesy, which is better known as "slower traffic keep right." It also includes a short historical perspective on the idea. This article lists some of the many benefits that you and the other drivers on the road will notice if you practice good lane courtesy. While lane courtesy laws can be useful, they should be used as a platform to promote the concept of lane courtesy and not simply as another way to ticket drivers. This article reveals that a long-term commitment to education and building public awareness is the key to improving lane courtesy. While most breaches of lane courtesy are unintentional, some drivers take pride in obstructing traffic. This article goes through the excuses used to rationalize this behavior. In order to bring attention to this important issue, the National Motorists Association Foundation is promoting June as Lane Courtesy Month each year. This is a compilation of resources related to lane courtesy. It includes links to several studies dealing with the use of traffic signs to promote lane courtesy. This is a link to a website maintained by NMA Massachusetts Activist, John Carr. It has a listing of lane courtesy laws by state. More states are considering legalizing lane splitting or filtering, which allows motorcyclists to overtake and pass other vehicles that are stopped in the same direction of travel in the same lane. Motorcyclists and motorists need to be aware of their respective responsibilities.